This month's presentation will focus on the surrenders in 1865, and our newsletter has plenty to consider about the Civil War, including book reviews, notes on tactics, and crime and punishment in the 1860's. Let's talk about the Union XI Corps at a presentation you won't want to miss! Our monthly newsletter is also available and has information about the meeting, African American soldiers, Civil War tactics, and other details. Join us this month for a presentation about William McKinley, a Civil War veteran and U.S. President. Also be sure to check-out our newsletter which is packed with information about our spring tours, newspaper excerpts, book reviews, and more. This month we'll enjoy a presentation on Reunion in the Shenandoah Valley. In our newsletter, you'll find notes about Civil War movies, an interview with a Gettysburg ranger, observations on Civil War tactics, and more! Our upcoming presentation will focus on memory and the Battle of Chickamauga.Come join us, and be sure to read the newsletter articles - more details on tactics, Civil War veterans, and "haunted" stories. 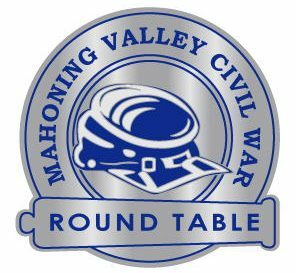 This month we'll enjoy a presentation on loyalty during the Civil War, and check-out our newsletter for details about our upcoming tours, Charen's new book, information on battle tactics, and much more.